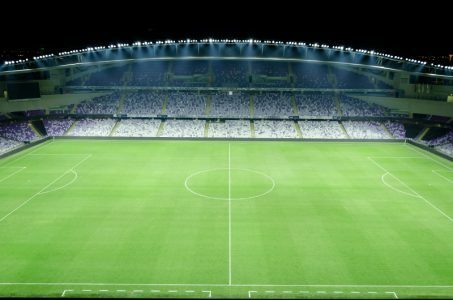 “This new lighting system will strengthen Hazza bin Zayed Stadium’s position as a global destination among world football venues, as preparations are already underway for hosting the Asian Cup in January, 2019. Due to Musco’s superior LED technology, project planning expertise, and willingness to undertake necessary steps to complete the project on time, I would have no hesitation recommending them for future installations." 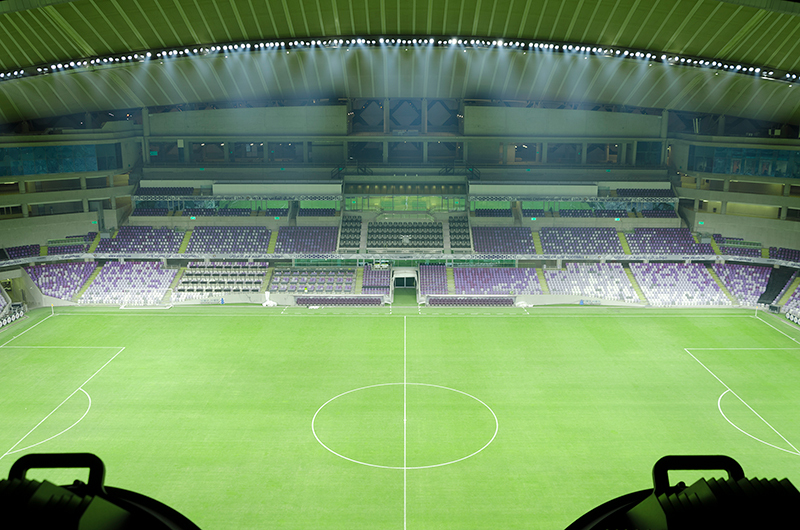 Not long after its completion in 2014, Hazza bin Zayed Stadium gained international acclaim for its unique architectural elements—including being voted the 2014 Stadium of the Year by StadiumDB.com. 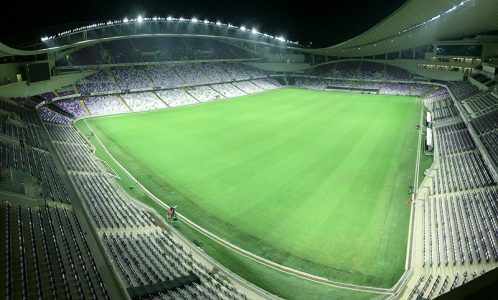 When the Abu Dhabi Sports Council and the leaders at Al Ain Football Club, which operates the stadium, determined that new lighting was needed to meet broadcast and light-level requirements for the upcoming FIFA Club World Cups, they wanted the best. System Solution – specialized cross arms for the 314 TLC for LED fixtures were custom built to adapt to the roof’s unique architectural setting. Improved Light Quality – the new lights exceed all FIFA V Levels, and the patented glare control virtually eliminates glare from impacting players and fans. Enhanced Entertainment – the system integrates with the stadium’s DMX board, creating new possibilities for special effects lighting and light shows. 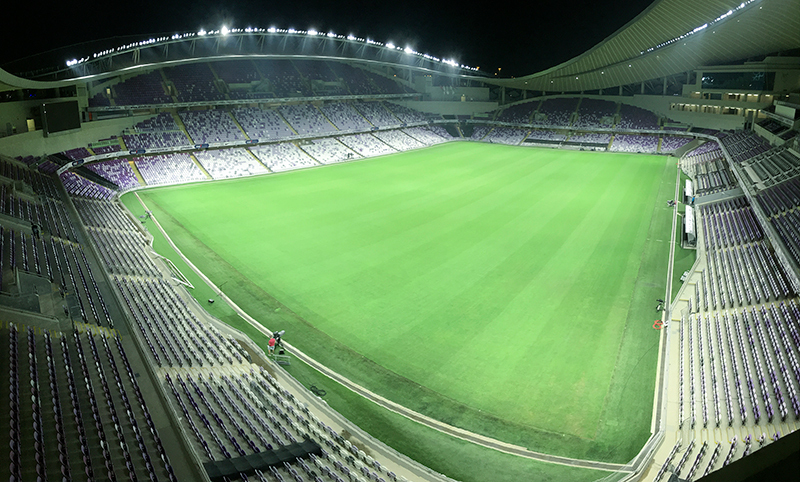 Energy Efficient – Al Ain FC was able to achieve its goal of not increasing energy consumption at the stadium, and the system’s dimming capabilities further enhance efficiency. 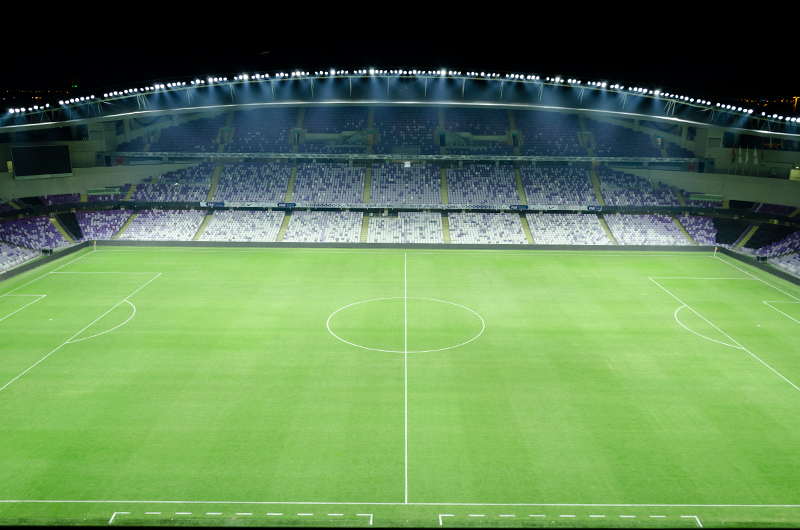 Zero Maintenance – Musco’s long-term parts and labor warranty guarantees light levels and eliminates Al Ain FC from having to handle any maintenance, or pay for it, for 15 years. 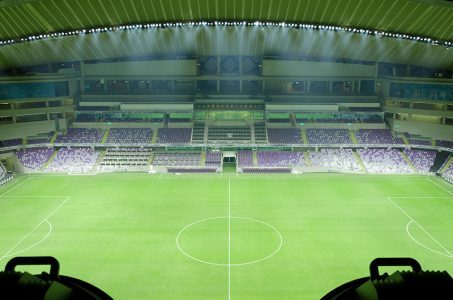 With the new lights in place, Hazza bin Zayed Stadium became the first football stadium in the United Arab Emirates to feature LED lighting. 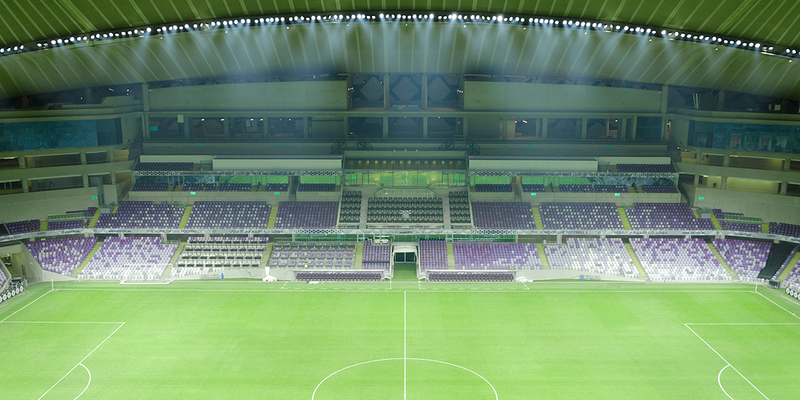 The stadium has already hosted the 2017 FIFA Club World Cup, and will host the 2018 FIFA Club World Cup and the 2019 AFC Asian Cup.